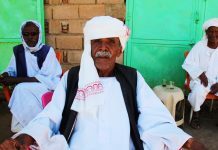 Read here all about how to get your Sudan visa in Aswan based on my experience as a Dutch passport holder in December 2017. Where is the Sudanese embassy in Aswan located? What are the opening hours of the Sudanese embassy? What do you need for your Sudanese visa application? What are the costs of a Sudanese visa? How many days does it take to get your Sudanese visa in Aswan? Tips for your visit to the Sudanese consulate! The Consulate of the Republic of Sudan is located in Aswan’s southern part. It’s clearly marked on Google Maps and Maps.me. You can get there by bus (the buses leave from Cataract, get out at El-Sadat street) for only a few cents. Opening hours embassy: 08.30-12.30. It’s closed on Wednesday, Friday, and Saturday. There is no need to make an appointment for the embassy. 50 USD’s for a single entry 1-month visa. They don’t accept Egyptian or Sudanese currency. 1 month is the maximum. Multiple-entries is not possible (My friend tried, but they really would not give it to him). Update December 2018: according to fellow travelers, the price now changed to 150 USD! Getting your Sudanese visa in Aswan Egypt. Copyright Bunch of Backpackers. When I was there, all travelers got their visa the next working day. E.g. If you hand in your passport on Tuesday, you will get it on Thursday! As a foreigner, you can sit in a small, but busy waiting room. There were at least six other travelers applying on the same day as me! Then, your papers land on a pile of other papers and it’s a lot waiting. Take an early morning big bus from Aswan at 5 AM (or 8 AM) for 200 EGP. 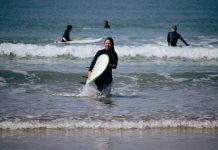 It’s best to book one day beforehand. The bus will be overloaded, but generally, there is enough place to sit. The bus may leave later than planned… From there, you drive towards Abu Simbel for a fish lunch with fellow passengers. From Abu Simbel, you will take a small ferry and after that, it’s only a few minutes to the actual border. You have to pay a small exit fee on the Egypt side. Help your fellow passengers to unload all their tv’s and water cookers etc. and after that, it’s a lot of waiting. Sharing a plate of fish while waiting on the ferry. Copyright Bunch of Backpackers. Then, it’s time to get on the bus again (this time the bus gets really messy, because of slopping loading quickly) and to move on to the Sudanese border, which is more efficient. You get a piece of paper with a stamp, which is really important to hold on to. They will also ask you to pay some transportation fee (60SDG). In another report, this is described as a border scam. Personally, I have no reason to believe it’s a scam. 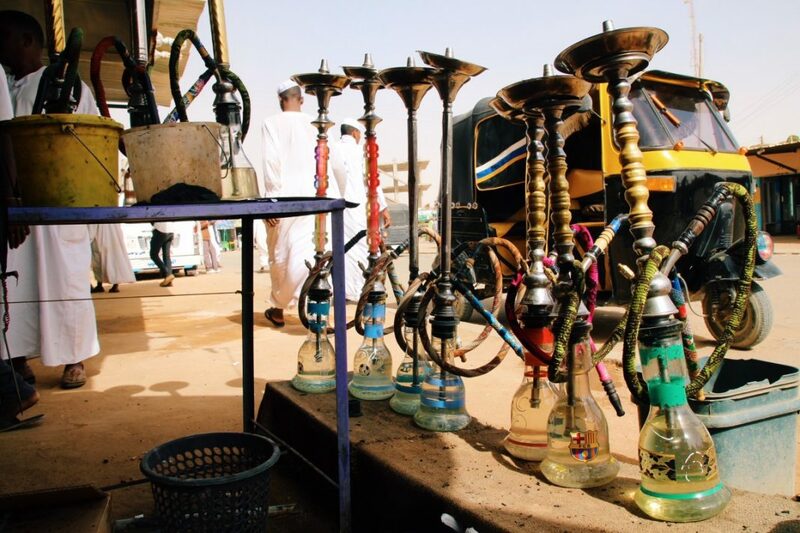 Sudan has no scamming culture. At the border, you can also change some money. After that, it’s only a short ride to Wadi Halfa. I arrived just after sunset and stayed at the Canggu Hotel. 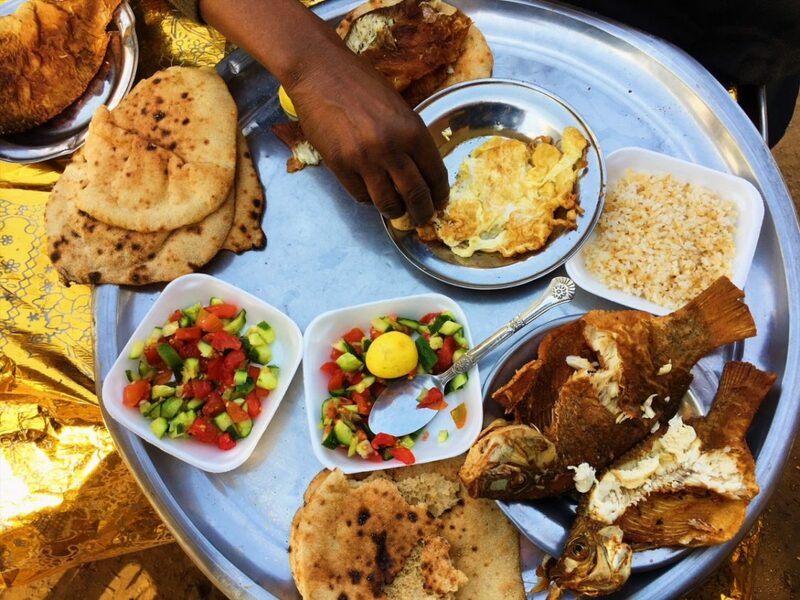 If you go all the way to Khartoum, you will have to wake up early in the morning again to continue your journey. Border crossing Egypt to Sudan. Copyright Bunch of Backpackers. 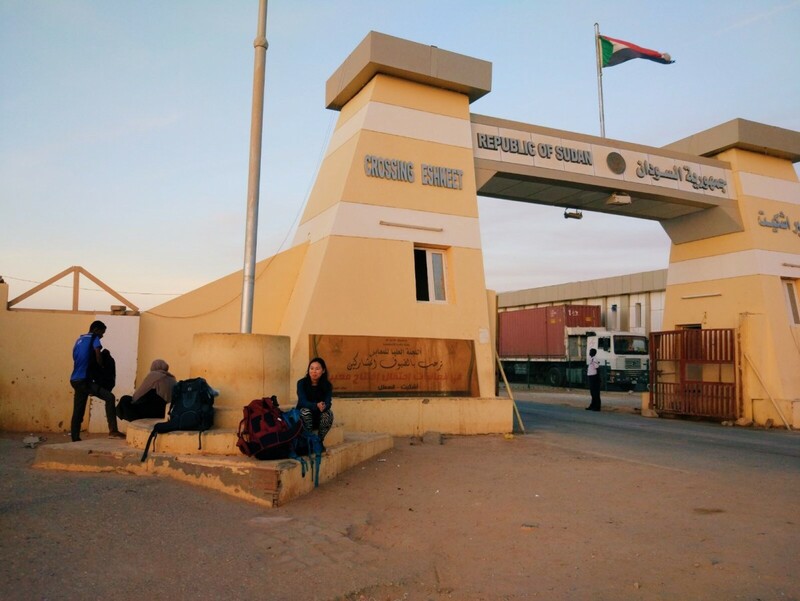 Read more about everything you need in terms of registration once you’re in Sudan here. 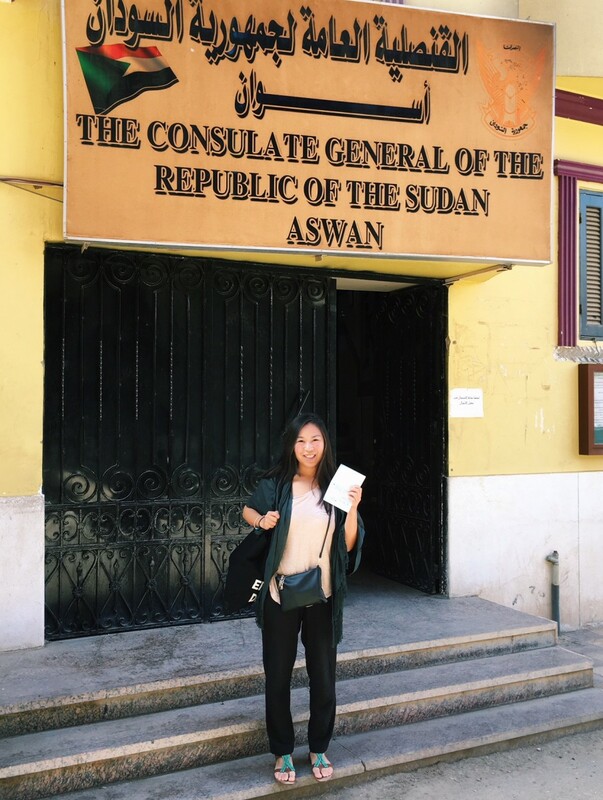 Let me know if you have any questions about getting your Sudan visa in Aswan! Or leave a comment if you have recent experience in obtaining your Sudanese visa! 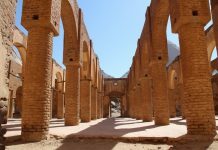 Previous articleWhat to do in Khartoum, Sudan? 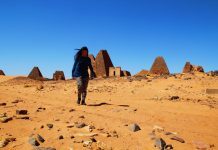 Next articleSolo female travel in Sudan – All you need to know! The consulate in Aswan now charges 150 dollars for a two months visa. I was informed the procedure changed recently, and normally it would take one week for the visa to be processed. However it was available the next working day. The gentleman at the embassy was very helpful. I also met a Spanish traveler on the road, that said the Cairo embassy charged him 150 dollars. The exit tax from Egypt was 102 egyptian pounds. We did not pay anything on the Sudanese side. The Sudanese pound is now somewhere between 47.5 to 53 to the dollar. The police registration fee in Wadi Halfa was 540 Sudanese pounds. 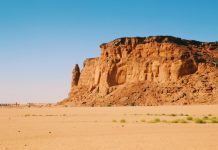 brilliant blog, entering Sudan in a week. at this stage, we have been told by the Cairo Sudanese Embassy that they do not issue visa anymore in Aswan. so we applied in Cairo, was issued on the same day as application, long day to wait, but worth it. 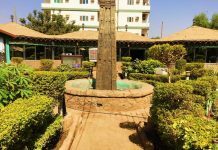 we will check in Aswan in any case for other travellers.